SDRuno and DAB FM Digital Sidebands? 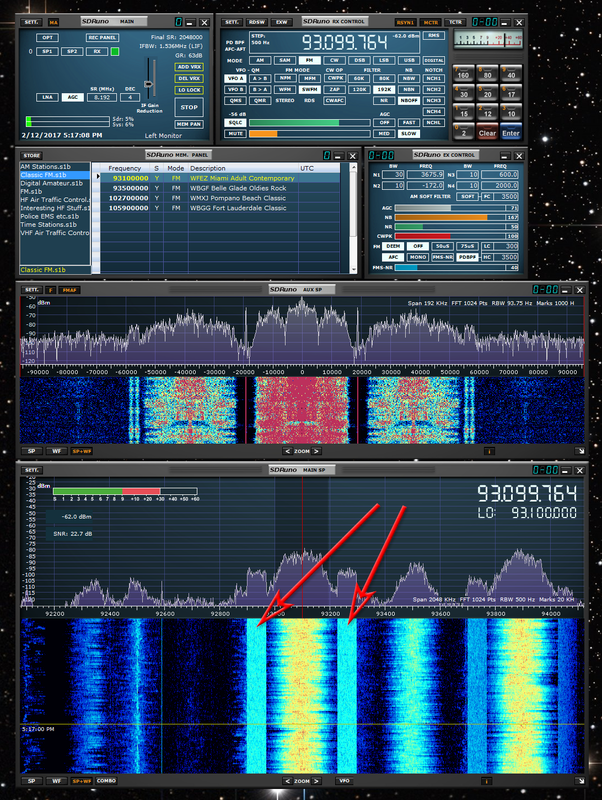 Is there any SDRuno-associated/related software decoding the DAB (digital) parts of FM signals nowadays, as received by RSP1/2? Am I missing an obvious settings somewhere in the sea of buttons? If not, are there hopes/plans for expanding SDRuno to turn these signals into audio? Last edited by DOUGG on Thu Jan 01, 1970 12:00 am, edited 0 times in total. We do actually plan to add DAB demodulation and decoding to SDRuno, but we have no schedule for it just yet. ...with the ExtIO .dlls for the RSP1+2 to decode DAB+. I recently tried that with the RSP2 and it works fine. Due to the program offerings on DAB# around here, it wasn't worth the effort tho. Edit: Do not confuse "digital sidebands" (which sounds more like "HD radio") and DAB, they are very different things and each of them is not available on the corresponding other side of the big pond (HD radio=American digital supplement to existing FM radio, DAB=European digital audio broadcast standard not even using the FM band). Tech_Support wrote: We do actually plan to add DAB demodulation and decoding to SDRuno, but we have no schedule for it just yet. Unfortunately, those are HD Radio signals, not DAB. HD Radio is a proprietary system and as far as we are aware, it has never been successfully coded as a software based demodulator because the owners of the system IP will not permit it. in my understanding, some progress has been made using GNU Radio, but whether this will ever yield audio given that HD Radio uses a unique codec remains to be seen. Ah well, it's not like the 192k analog audio is lacking much. Frankly it sounds great. Just for the record, "HD radio" is "Hybrid Digital Radio" not "high definition" as many providers would have you believe. To me HD radio doesn't sound as good as standard analog FM stereo given sufficient signal strength. The advantage of HD radio is that as long as there is enough signal to decode there is no static, so it may sound better in absence of good signal strength. Is there no additional audio bandwidth? Some claims of "CD quality audio" have been put forth. NoelC wrote: Is there no additional audio bandwidth? Some claims of "CD quality audio" have been put forth. They also claim this for DAB radio. In fact several DAB stations have a quality less than mp3.